I decided to cut out conical pieces from the top for filling the centre with the chocolate-malt buttercream. I then flattened these (an alternate would be to cut off the part below the top crust to use for cake-lollipops, which I really find a bit bizarre). With a pastry bag, I piped the buttercream into the centre, and replaced the now-densely flattened top back on the filled cupcake. The The other technique I have seen elsewhere is to poke a hole in the centre and fill that with the filling, but this buttercream is thick enough that I chose the dissection technique…cupcake forensics 101. As it was a birthday, I thought multi-coloured sprinkles would be appropriate. One candle or other decorations could work, as well, for these. They could be left unadorned for other occasions. 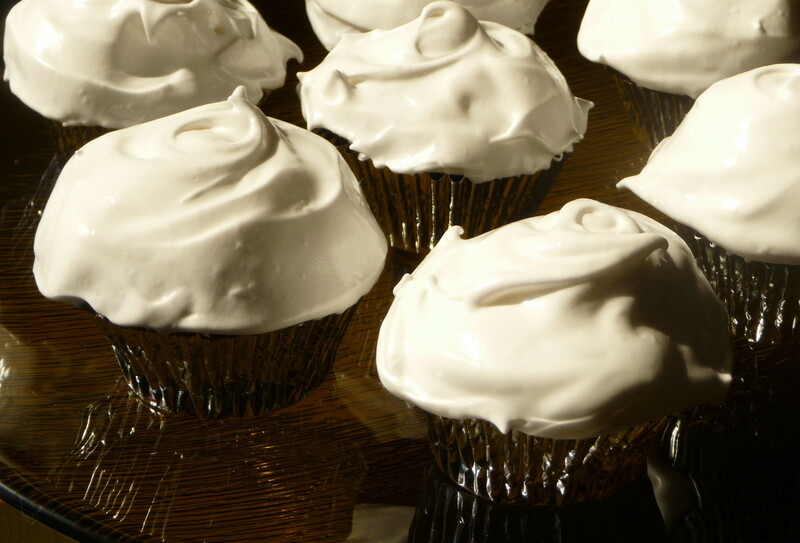 Another variant would be to switch the meringue with the buttercream, which might be more traditional (a la Hostess) and more malty but perhaps less visually striking. One could make the anatomy much more simple, with either just the meringue or just the buttercream as the frosting, without the anatomical complications of a filling. The choice is yours. It is your cupcake. Create its anatomy as you wish. 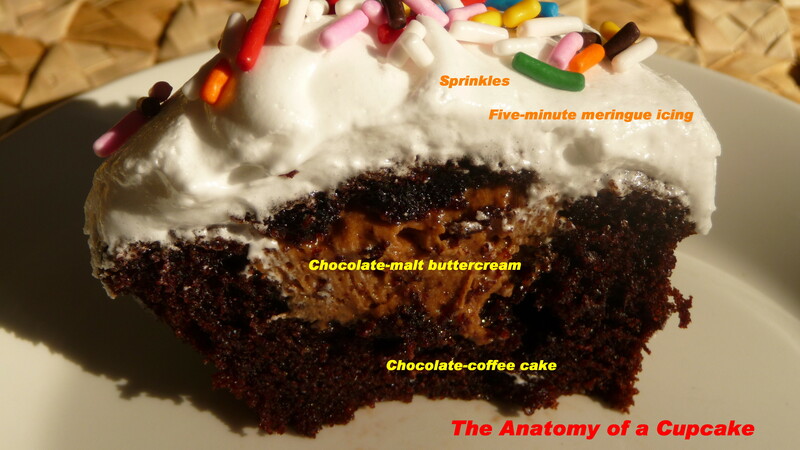 So this brings us to a close of our lesson in the anatomy of the Chocolate-Malt-Meringue Bliss Cupcake. 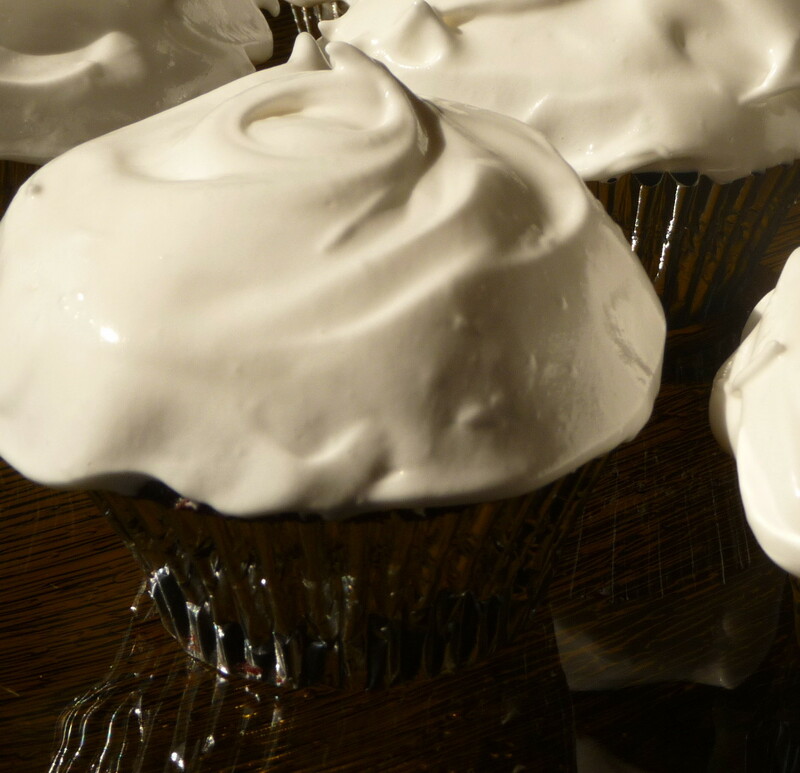 Now you know what secrets lurk beneath the cupcake’s billowy white meringue icing: a rich chocolate-coffee cupcake with a surprise chocolate-malt buttercream filling, of course! Line muffin tins with cupcake liners (or prepare baking pans with butter and flour — Debby used three 9-inch cake pans, for her cake ). Combine flour, sugar, cocoa, baking soda, baking powder, & salt in a large bowl or in bowl of stand mixer with the paddle attachment. Add eggs, coffee, buttermilk, melted chocolate (if using my adaptation), oil, and vanilla. Beat at medium speed for 2 minutes. (Batter will be thin.) Check to ensure that the mixture is thoroughly blended, scraping the sides with a spatula, if need be. 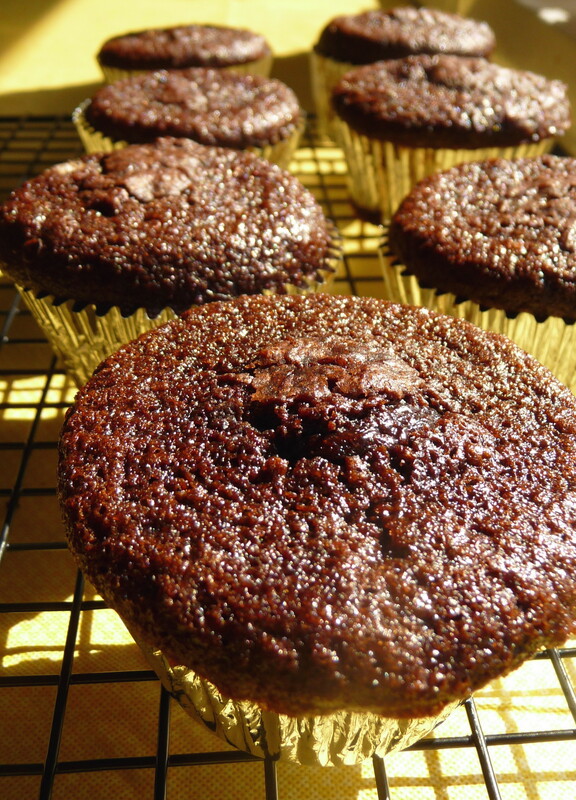 Pour approximately ¼ cup batter into each cupcake liner, or into a baking sheet, or cake pans. 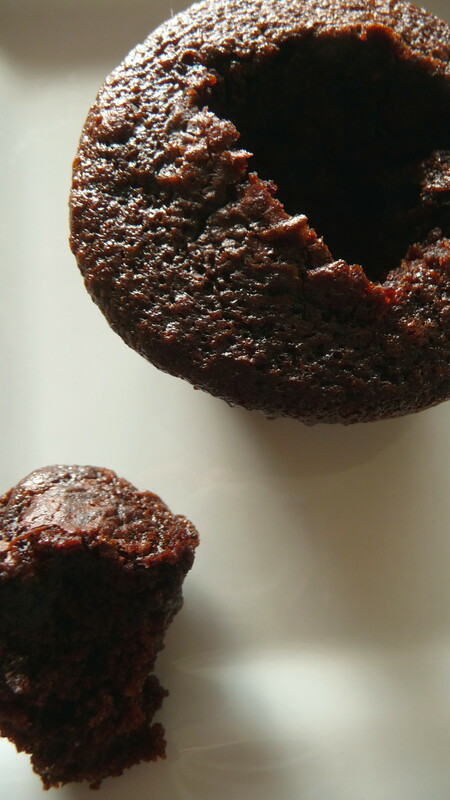 Bake for 20 minutes (for cupcakes) or 27 minutes (approx) for a baking pan at 350°F or until toothpick comes out clean. 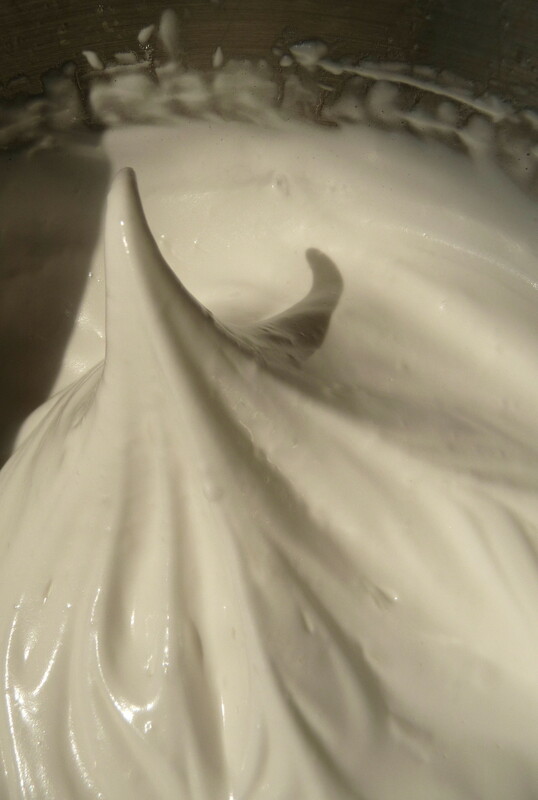 Place the 2 egg whites in a large mixing bowl or the bowl of your stand mixer. Beat until the egg whites are foamy and thick; they should mound in the bowl, without holding a peak. Set them aside while you prepare the sugar syrup. For sugar syrup, combine the sugar, cream of tartar, water, and salt in a saucepan. Bring to a boil, stirring frequently; the sugar should be dissolved. If the sugar hasn’t dissolved, cook and stir a bit more, until there is no crystalline trace. Begin to beat the egg whites in the bowl of a stand mixer with the whisk attachment, and immediately pour the boiling sugar syrup into the egg whites in a slow stream, beating all the while. As you beat, the mixture will thicken. (This takes about 5 minutes). Once all the syrup is added, stir in the vanilla, and continue to beat till the frosting is thick and will hold a peak. In the bowl of a stand mixer on medium, beat butter for two minutes until light and creamy. Add melted chocolate, two tablespoons cream or milk, and vanilla. Beat until combined. Slowly add 1 ½ cups powdered sugar, blending until smooth and creamy. Add more powdered sugar and/or cream until the desired consistency of your buttercream-dreams has been attained. Cut one-inch conical sections from top of cupcake. Remove and compress to flatten. Pipe chocolate buttercream into cavity. Replace top and press down. Ice with five-minute meringue, swirling it decoratively..
Decorate while warm with sprinkles, mini chocolate chips, sparkling sugar, or the decorations of your choice, if desired. 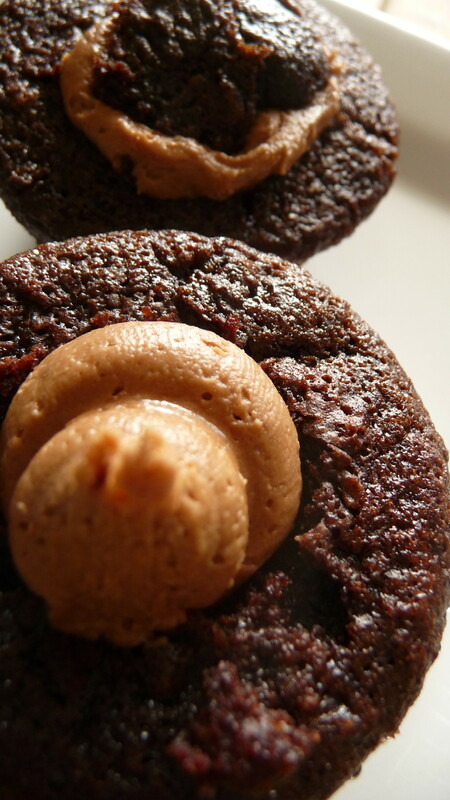 Or serve unadorned, for the most basic – yet anatomically correct – cupcake. 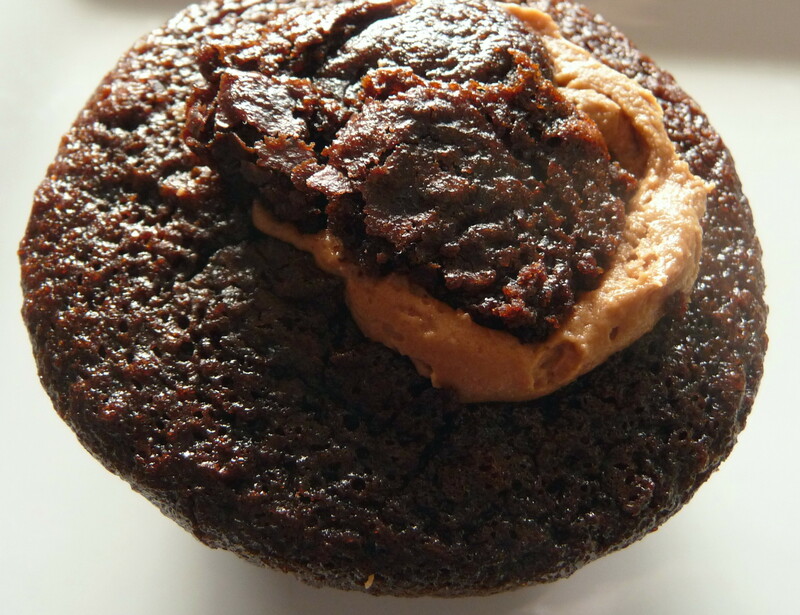 This entry was posted in Baking, Blogs and Food Writing, Cakes, Cupcake, Dessert, Recipes Misc and tagged birthday, Cake, Chocolate, Cupcakes, Frosting, malt, meringue, Recipe. Bookmark the permalink. The problem with reading wonderful blogs like this post is that I want to make that. But how can I make that and make a new post for my blog and not gain 20 pounds or demolish my kitchen? Please tell me the trick. You have been blogging longer than I have. These look mahvelous (please say it with a Billy Crystal impersonated voice)! P.S. I hope you have noted that I passed the Versatile Blogger award torch to you. Cheers. Thanks, Geni. 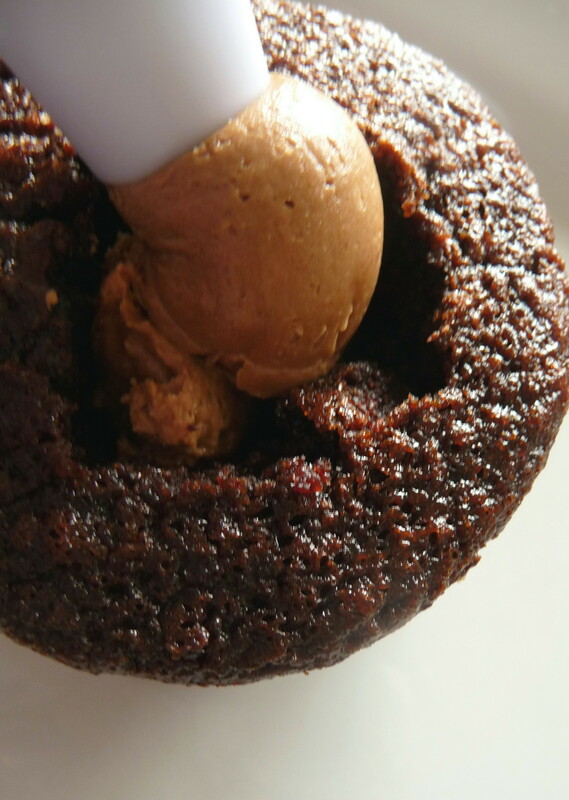 I do have to point out that it was you who got the idea of the chocolate malt cake into my head, to begin with…but I bake for special occasions and/or others more than leaving lots of tempting things around within reach. I also think I have some self-control (“some,” that is). Thank you very much for the “Versatile Blogger” award!! That is very sweet of you (and not at all crummy or crumby). I do appreciate it greatly. Merci bien, Pierre. Je suis presque certain que tu n’es pas cupcake! You’ll find me hiding under your kitchen table. Ta very much. PS: I love these. They’re gorgeous. And happy birthday Jim! So how much would it cost me to have you bake up a batch of these and send them to SoDak? I could easily polish off a dozen of those all on my own! These cupcakes look absolutely fantastic! Great post!